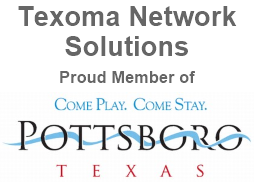 Texoma Network Solutions can install any new network, no matter the complexity. Whether how you need it set up at home for personal use or a home office, a restaurant, an office, or whatever type of configuration you need, we are here to help. We also offer consultation for our customers to choose what kind of network hardware will suite their needs without breaking the bank on unneeded peripherals. Texoma Network Solutions also performs network repairs. Whether it is a broken cable, bad cable end, or a faulty router/firewall, we can fix or replace it. We will do what we can to repair existing equipment as it saves the customer time and money which we all know are precious resources. However, if needed or requested, we can run entirely new cables or replace and configure new hardware (i.e. routers, firewalls, switches, etc). One large advantage to using our service, is that the customer is not required to purchase equipment from us in order for us to service it. We will service almost any network or PC device on site and ensure it functions as expected.